Hamilton’s Claremont access will soon get an artistic facelift, and it won’t be at the hands of graffiti artists. The plan is to commission a mural for the walls of the Claremont access that faces Carter Park. 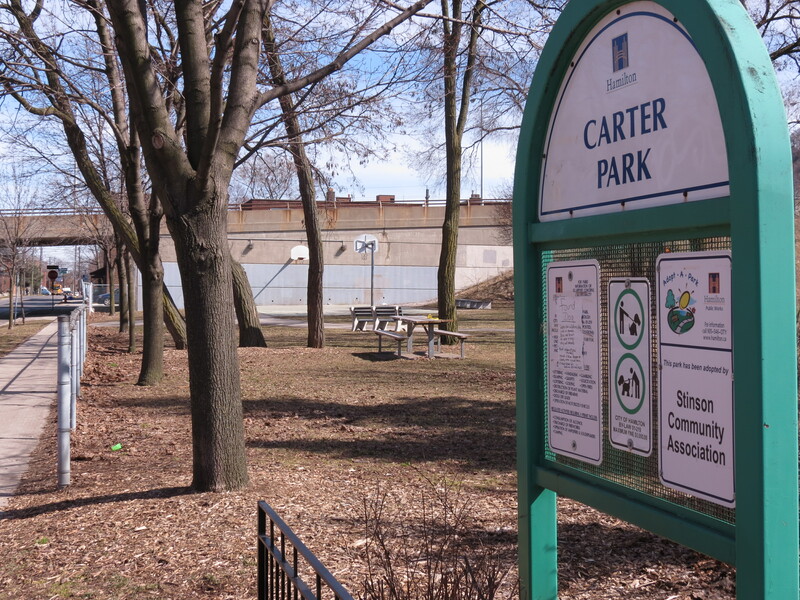 “The Carter Park art mural will represent a new beginning for our neighbourhood and we are very excited about it,” said Brian Goodman, president of the Stinson Community Association. An open call to artists for the Carter Park mural is currently being prepared and should be released this month. The mural will be located on the concrete wall of the Claremont access that is considered quite an eyesore in the area. “The mural will be an immediate focus point, an attraction and will give life and meaning to that cold impersonal wall. In an underlying way it suggests pride, safety, and announces there is a wonderful community here,” said Goodman. The city had an open call for artists for the same project last year, but the mural was never completed. Part of the issue was problems some artists were having with the city’s art procurement process. Complaints were made about having to pay the non-refundable fee of $64.99 online or $45.99 in person for the Request for Proposal documents. The process has since been reviewed and revised. The review suggested that the fees be waived, and that the responsibility of the administration of the Public Art Acquisition Process be turned over to the Tourism and Culture Divisions city staff. Another part of the issue was with the submissions made last year. “The jury didn’t feel they got the propositions they wanted,” said Ken Coit, the City of Hamilton’s Art in Public Places Coordinator. The jury, which remains confidential, is different for each project. The focus group, or jury, is usually made up of artists, stakeholders, business people and other people with an interest in the project. “It usually takes three to four months once we actually have the submissions in. We have to leave time for the artists process,” said Coit. There are currently two other pubic art projects that are in the consultation stage for the city of Hamilton, including the Battlefield Park art competition. The consultation stage asks the public for their opinion on the proposed art projects. For Battlefield Park there are three propositions under a theme that interprets the outcomes of Battle of Stoney Creek and the War of 1812. “The importance of a public art project cannot be understated. Besides providing a point of interest, it provides a dialogue that transcends what language you speak, what religion you follow, or what mental state you are in,” said Goodman. Longwood Rd. and Frid St.
MARC is McMaster University’s new automotive research centre that is currently being built in the shell of an old industrial building at the north end of the Careport Centre. The exterior of the building is getting a major facelift. Floor to ceiling windows now surround the new atrium on the eastern end of the building that was originally just loading docks. 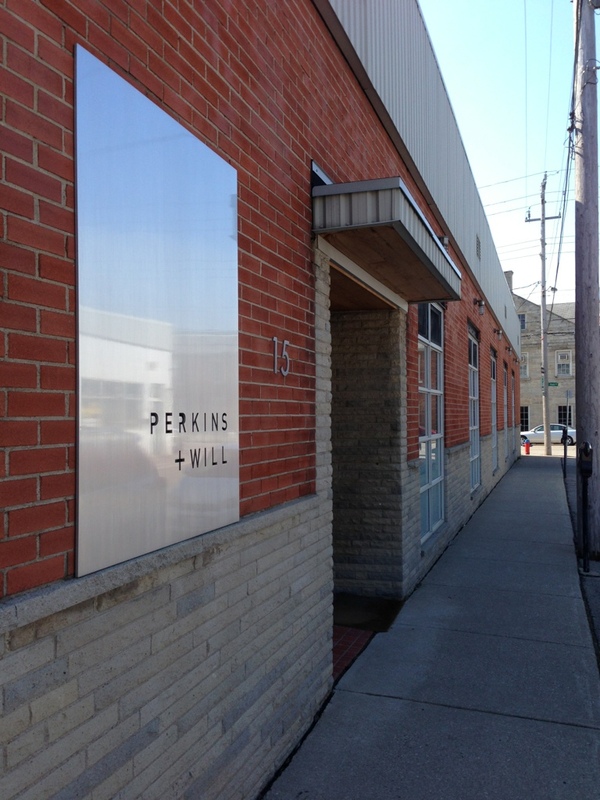 The old corrugated rusty grey steel has been replaced by darker gunmetal coloured steel, accented with grey panel cladding and celestial windows. The 14 loading docks have been narrowed to four, the ten docks replaced by a red brick wall with ground level windows. The centre will occupy approximately 70 000 square feet of space, with 50 000 square feet on the first floor and the remaining square footage on the second floor. The space will be comprised of labs, offices, and common areas. McMaster’s Automotive Resource Centre is the latest addition to the McMaster Innovation Park and will provide a place for the research and development of green automotive technologies. The university received an $11.5 million grant from FedDev Ontario, a federal agency launched in August 2009 to help respond to Ontario’s economic challenges. The project will cost approximately $26 million and 120-150 people from the private, public, and academic sectors will be employed at MARC. Remember Harry Stinson’s proposed 100-storey spire for the Royal Connaught? Thankfully, Valery Homes and Spallecci Group have a better idea. In partnership with KNY Architects, these developers plan to construct a residential building that pays homage to the Royal Connaught’s rich history, while retrofitting it with a new look. The plan is to revitalize and incorporate the existing Connaught, and add three new towers. These three towers will be superimposed beside, as well as behind the Connaught, to surround the existing building. The new towers will be 36, 33, and 24 storeys, with 700 units in total. 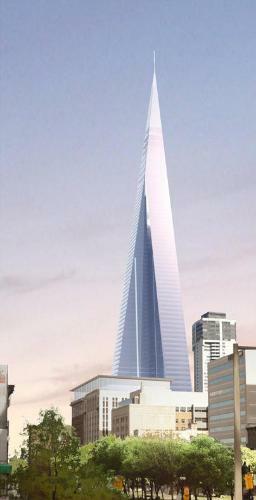 Artist renderings show the new, more contemporary-looking towers consisting of a smoky grey glazed glass that rises up the entire height of the towers. Historical elements incorporated into the new towers, like the Connaught’s large overhanging cornice and signature red brick, will accent the juxtaposing modern additions. The new development will fill all but a corner of the block that surrounds Main and King, between John and Catherine. Access to parking for the complex will be via Catherine Street and will include two underground levels and seven above. A seven-storey podium will also be added, that is meant to compliment the Connaught and connect the additional towers. The podium will have an accessible rooftop balcony on the eighth floor that will offer several amenities for residents of the towers. Some of the amenities listed include a theatre, fitness center, party room, and a terrace complete with cabanas and fire-pits. At ground level, the podium will offer 13 000 square feet for commercial space along King Street, Catherine Street, and Main Street. The Royal Connaught itself will be going through some major changes. The upper floors will be reconstructed to include the eighth-floor connection to the additional three towers. The southern end of the building, a three-storey addition that contains the Grand Ball Room, will be demolished to accommodate the new towers. 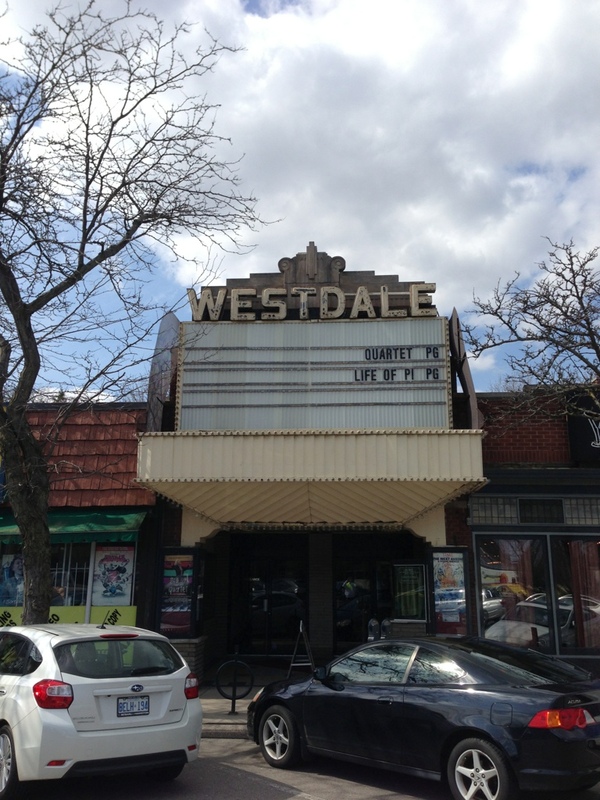 The Edwardian façade, with its red brick, limestone, and large arcade-style windows will remain largely untouched. Once finished, the 13-storey Connaught will consist of 135 units. Built by Harry Frost in 1914, the Royal Connaught hotel has changed hands several times through its lifetime. It has also played host to some of the most notable visitors to ever come to Hamilton, including Pierre Trudeau and Al Capone. Notice anything different? Rebuild Hamilton is going through some minor changes. One of the first changes is a beautiful new header – what a nice satellite image of Hamilton! Special thanks to Katherine Lamb for designing this new header – she did a fantastic job.